A.J. Howarth Electrics understand the importance of security lighting to help deter burglars and help increase your feelings of safety. 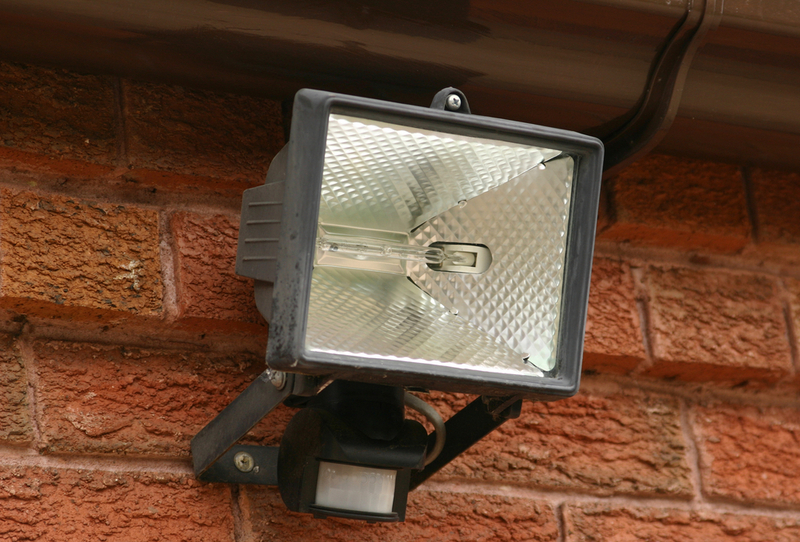 Security lights can be operated manually or automatically by infra-red detectors which activate the lights when a person moves into its field of vision. A.J. Howarth Electrics fully qualified local skilled Wirral & Chester electrician can install all types of security lighting currently available and have catalogues available offering a wide choice. our qualified local electrician can design your security lighting to provide the most efficient coverage and position the lights so they don’t shine onto a neighbouring property, which is a common cause of disputes. Security lighting can also be energy efficient with the use of low energy lighting sources eg sodium, metal-halide or fluorescent lighting. 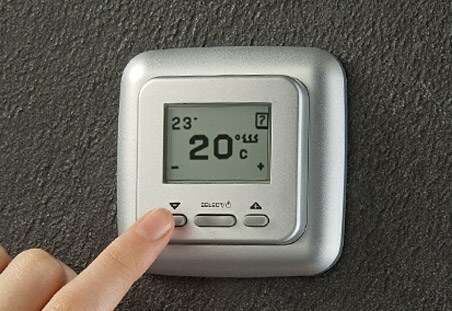 Please contact us now for a free survey and we will be happy to help secure your property. A.J. 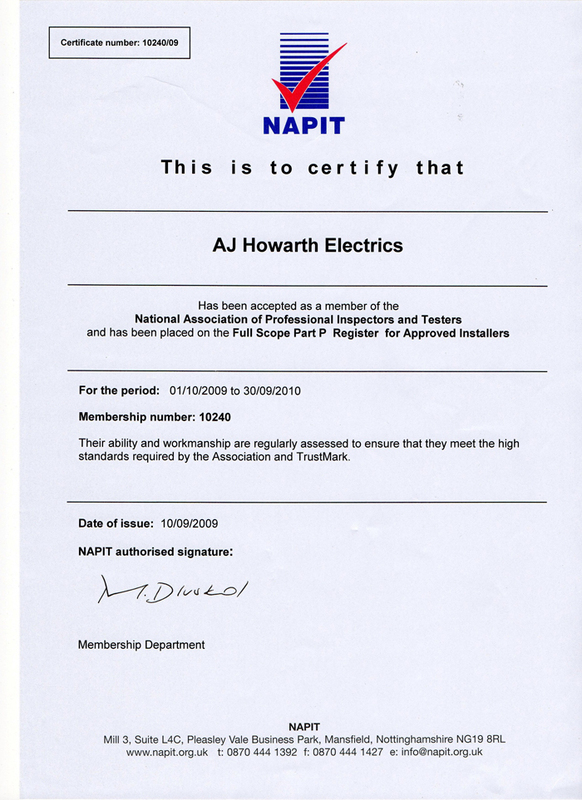 Howarth is a registered domestic & comercial electrician with the National Association of Professional Inspectors and Testers service (NAPIT) which is a government approved scheme and are accredited to to NIC EIC standards. Our ability and workmanship is regularly assessed to ensure that we meet the standards required by the association and trustmark which is a Domestic Installer Scheme. Customer satisfaction is always the a high priority in our services.